Growing up in Brussels, Germany was never very far away. Cologne in particular is less than 2 hours away from both Brussels (by train) and London (by plane) but until recently I had never taken the time to properly explore the city. Which was a shame really, because it’s a lovely place with just enough culture, shopping, food, and drink to make it a great weekend destination. 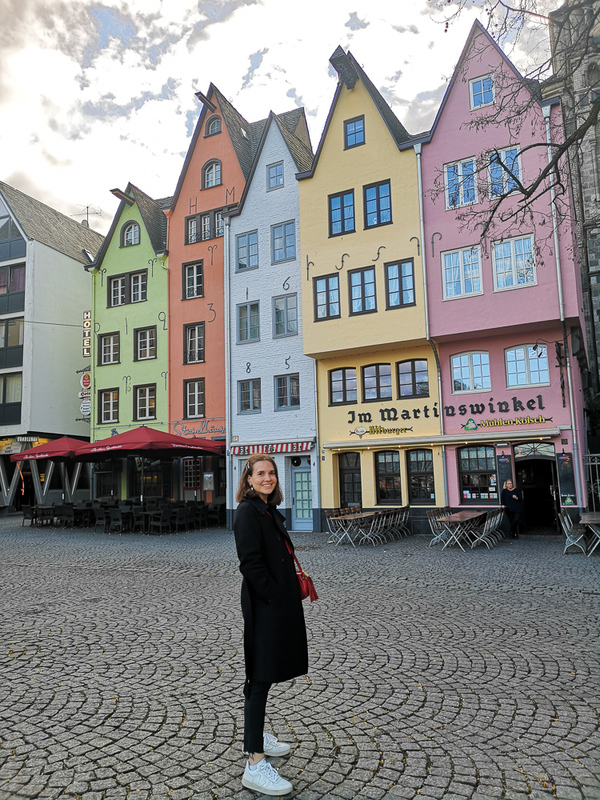 My Mum still lives in Brussels and she had been saying how she wanted to explore Germany more, so for her birthday I gifted her this weekend away. 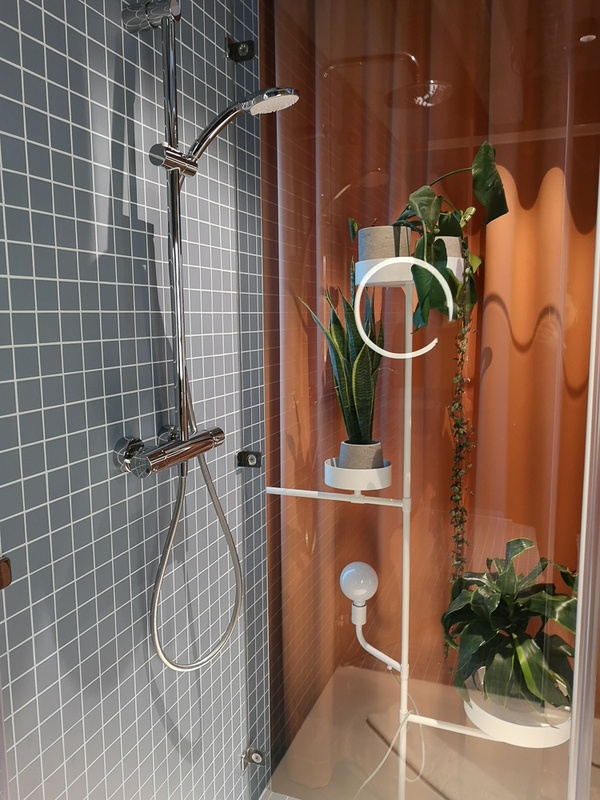 I think we really made the most of it and both had a lovely time (as we always do when we’re exploring somewhere new) so I’ll share my quick weekend guide with you below. 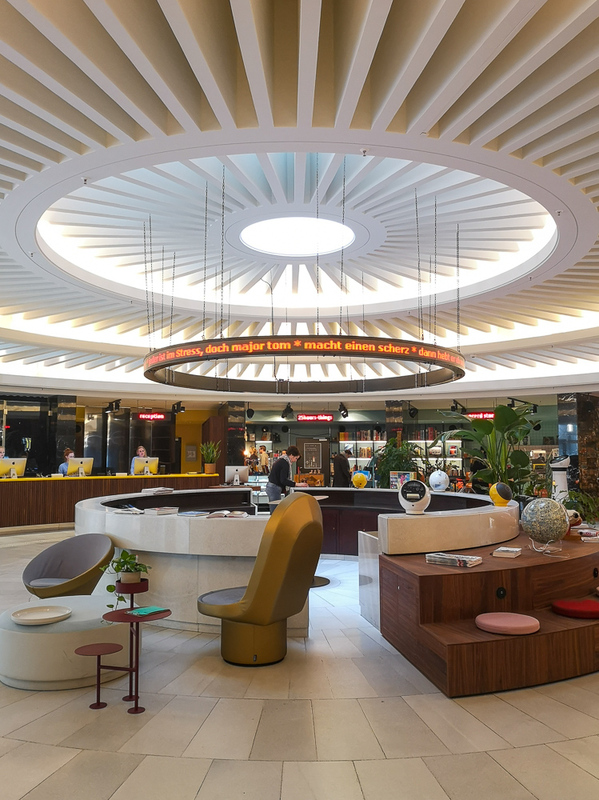 25hours Hotel The Circle is modern and super quirky with space-age vibes. 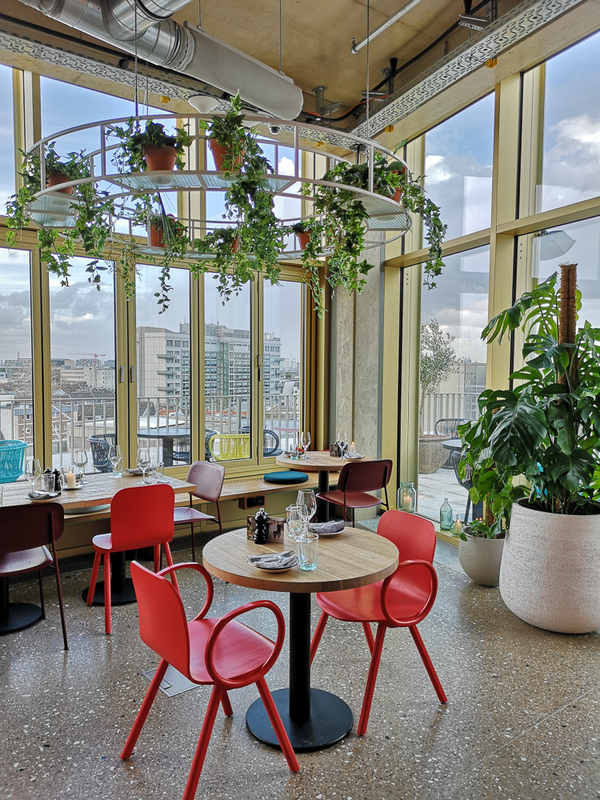 Rooms are stylish and comfortable, service is friendly and the bar and restaurant upstairs have a great view. 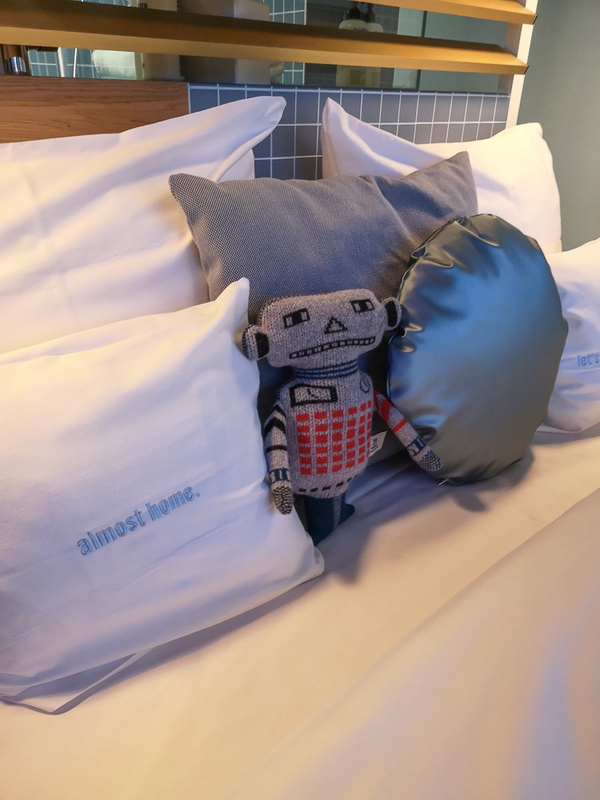 The QVEST Hideaway is another very stylish hotel set in a neo-Gothic building that used to be Cologne’s historic archives. 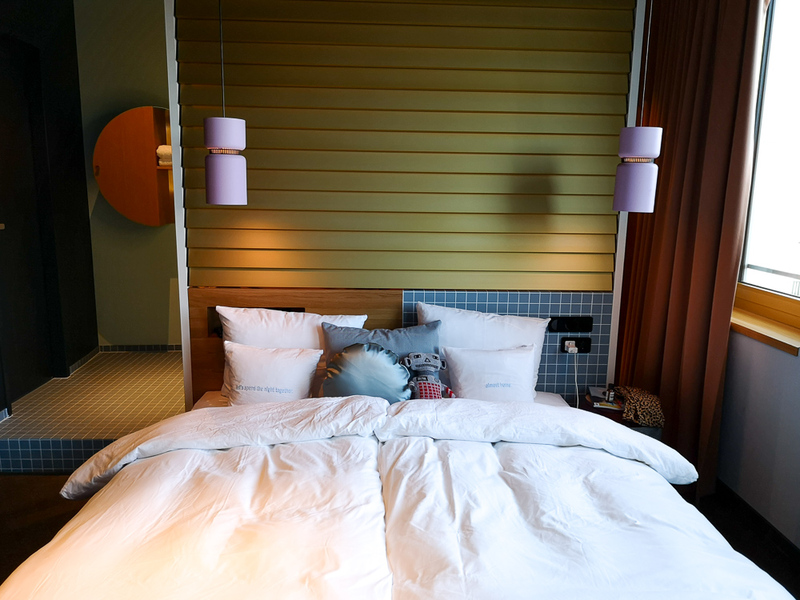 Both hotels are a 15 minute walk away from Cologne’s main train station and the famous Cathedral. Both looked great so it was a tough choice but we went with 25hours! 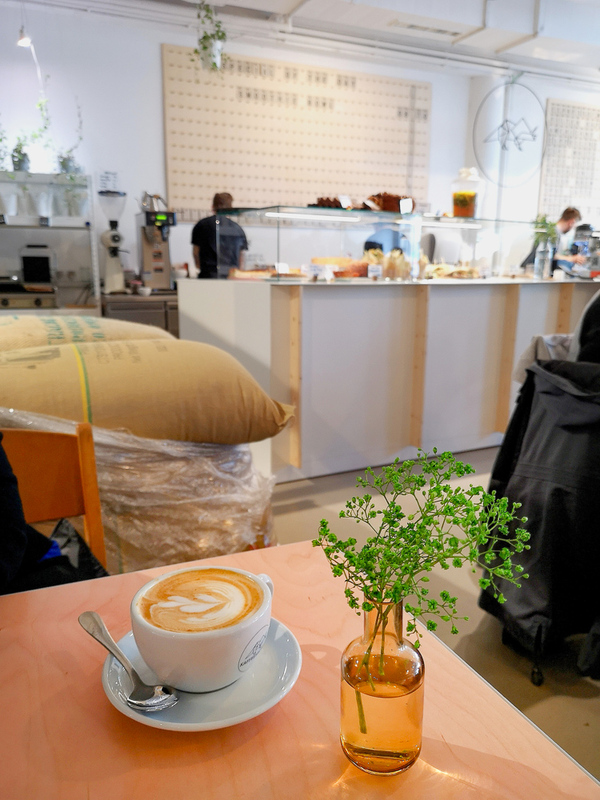 Kaffeesaurus (pictured above) is a great place for breakfast. 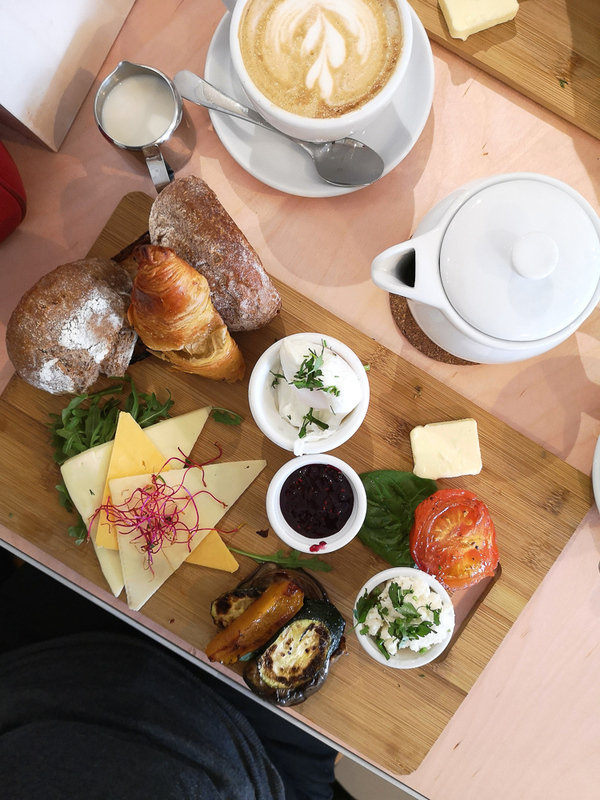 We had a platter with the most delicious bread, grilled veggies, poached egg and cheese. Yum! Hommage café was too busy when we wanted to go, but that tells you it must be good! Go there for crepes. 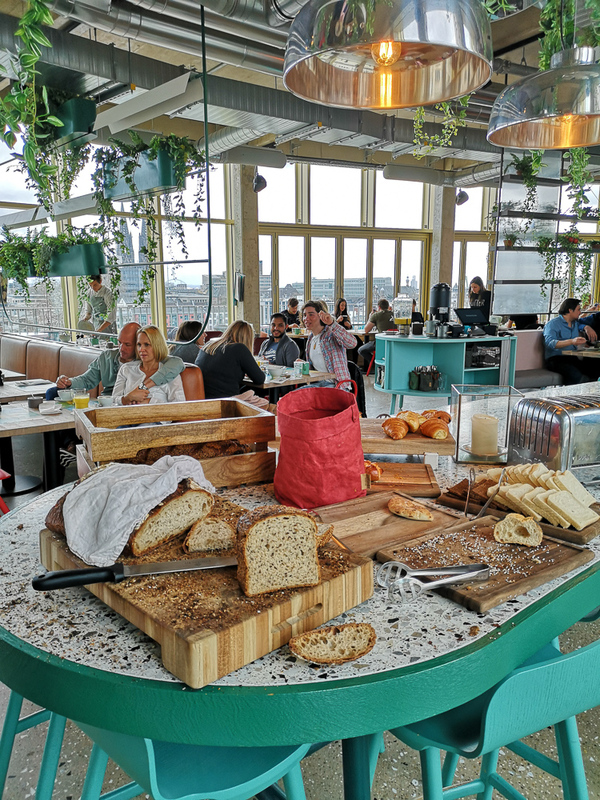 We also really enjoyed the breakfast at NENI, the restaurant at 25Hours Hotel. It had a delicious hot and cold buffet. 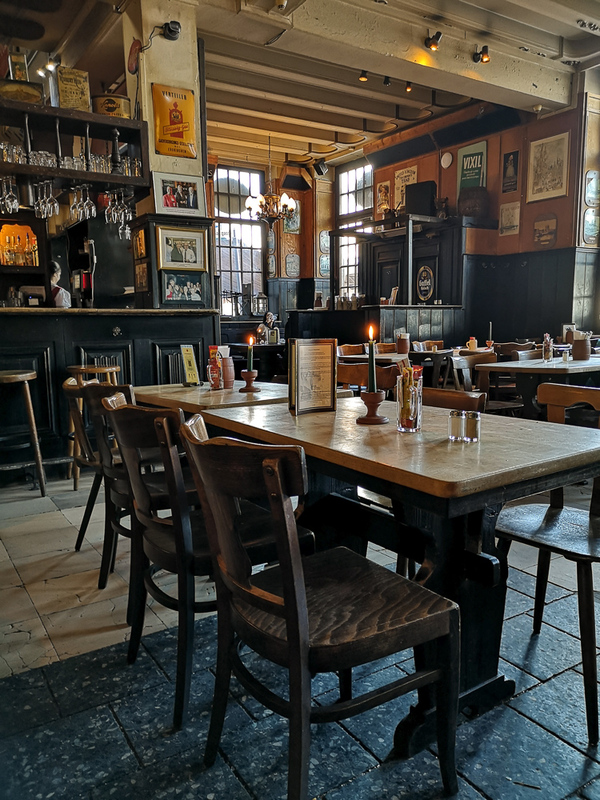 We enjoyed a schnitzel at Haxenhaus, which is a traditional German restaurant right by the river. 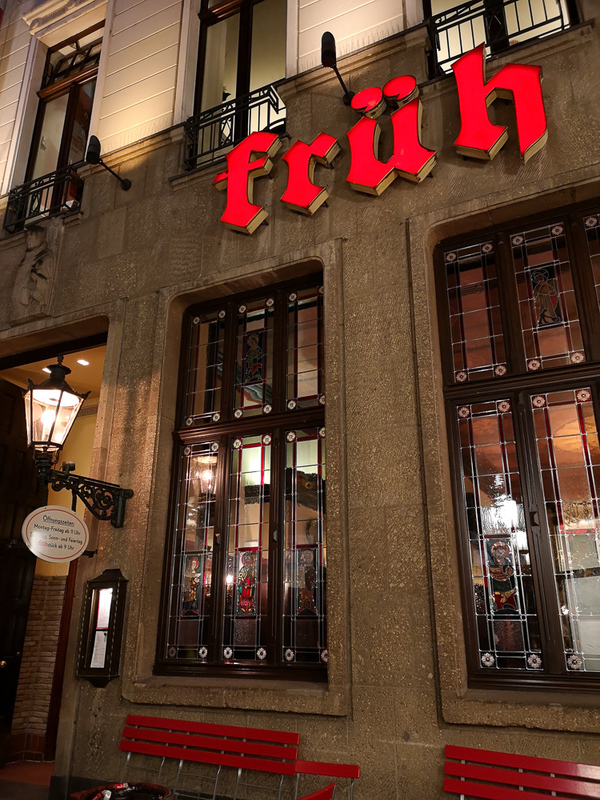 For a very “Cologne” experience, head to Früh am Dom. The place looks small from the outside but it’s huge! 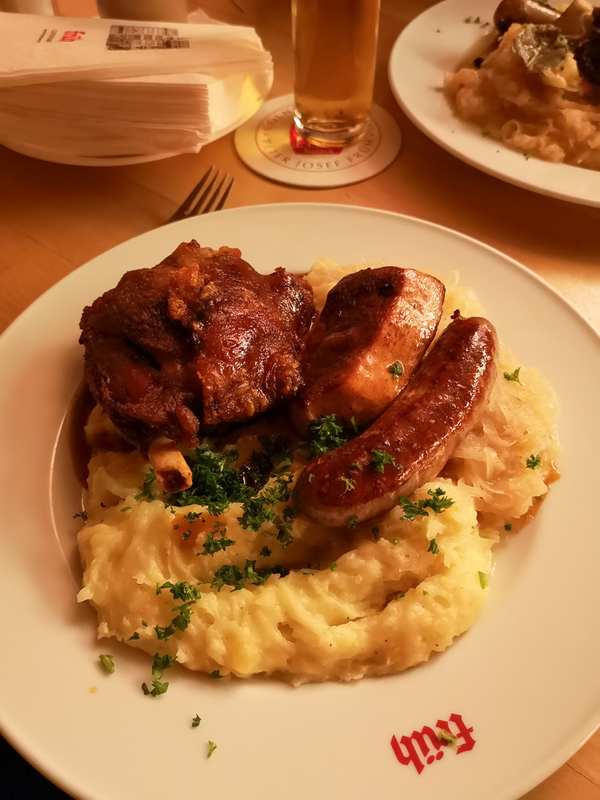 We had the Brauhausteller dish which includes both pork knuckle and bratwurst – perfect if you don’t have much time to try all the local specialities. 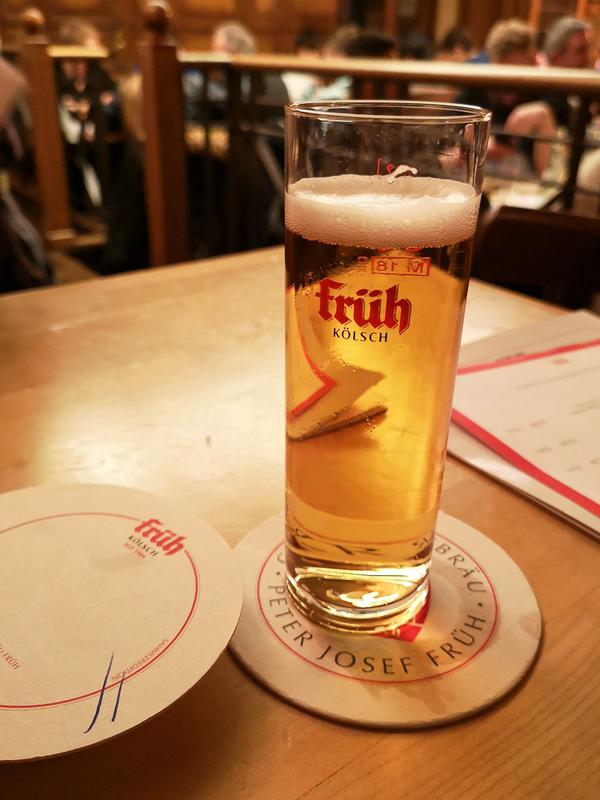 Make sure you have a little glass of kölsh beer to wash it all down! 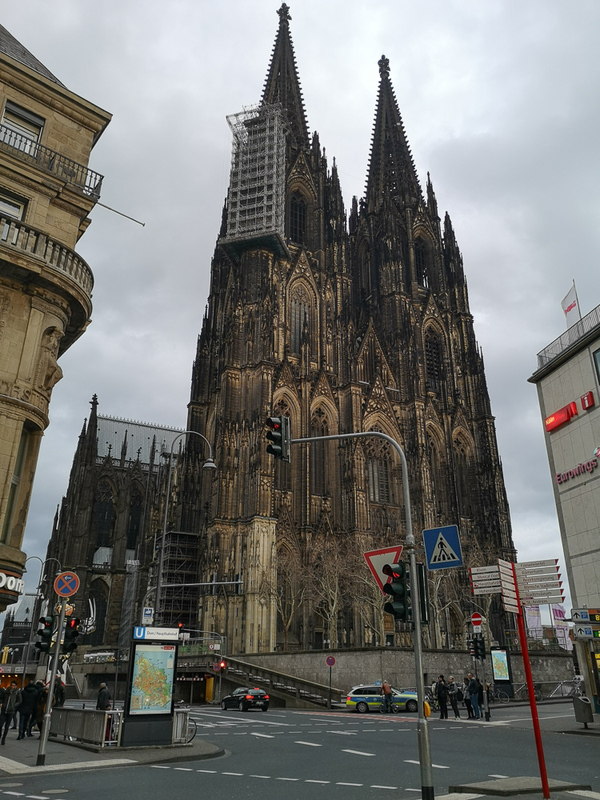 Cologne Cathedral or Dom is of course a must-see. It’s the city’s symbol and was once the tallest building in the world! 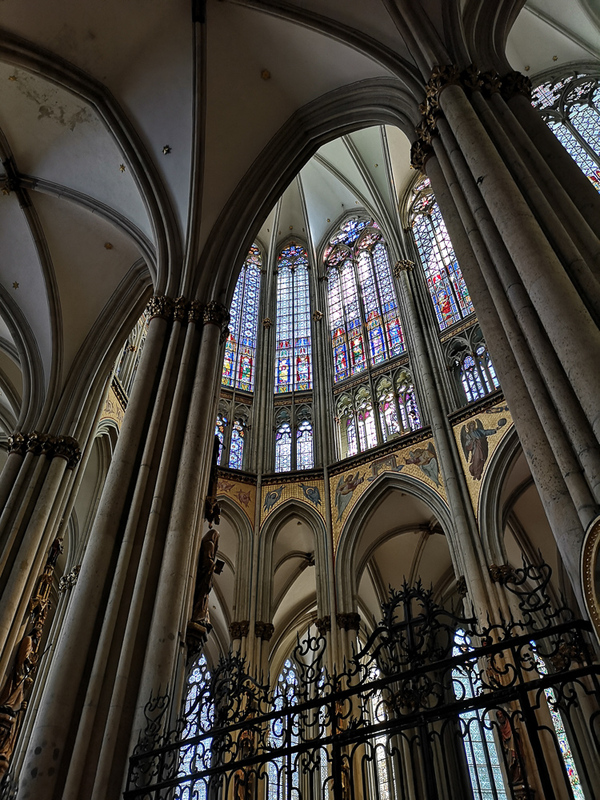 You can walk up the steps to the top if you have a lot of energy, but we were happy just walking inside, admiring the stained glass windows. Look out for a modern window that was designed by Gerhard Richter in 2002. 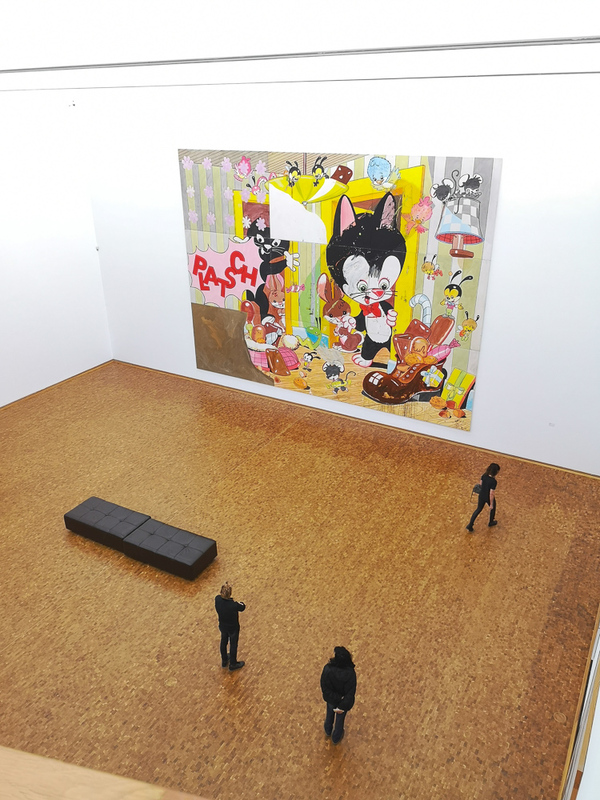 Museum Ludwig (admission 11€) has a fantastic collection of modern art. 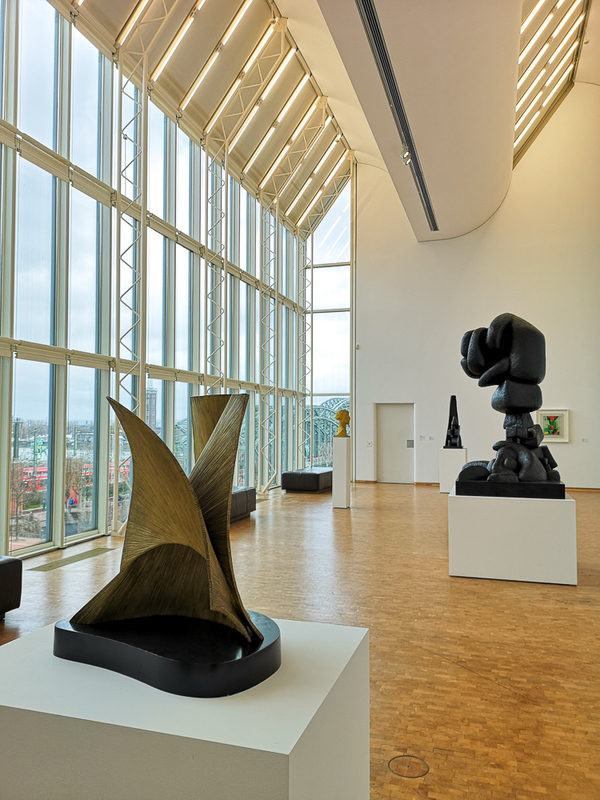 I would highly recommend a visit there even if you aren’t usually into art. 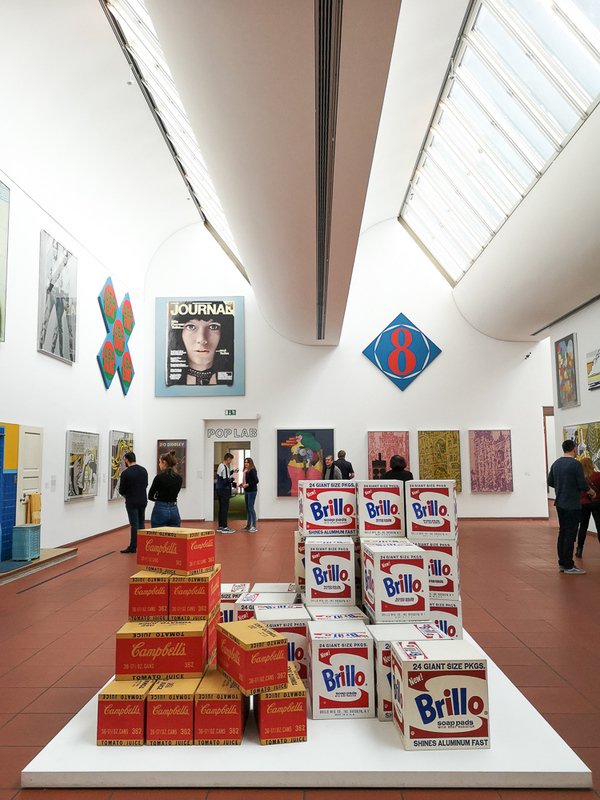 We went to a Hockney exhibition but most enjoyed the permanent collection which includes an amazing collection of Pop Art, Picasso pieces, and really gives you an overview of the most important artistic movements of the 20th century. 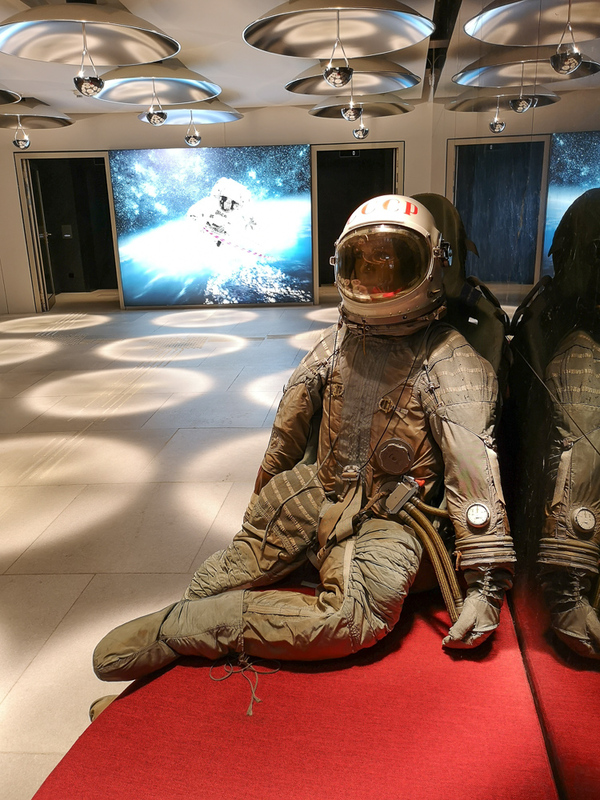 We only had time for two museums but there are many more: Kolumba (religious art), Kölnisches Stadtmuseum (history of Cologne), Farina (fragrance), Roman-Germanic Museum, Wallraf-Richartz (fine art) and more! The chocolate museum is popular. 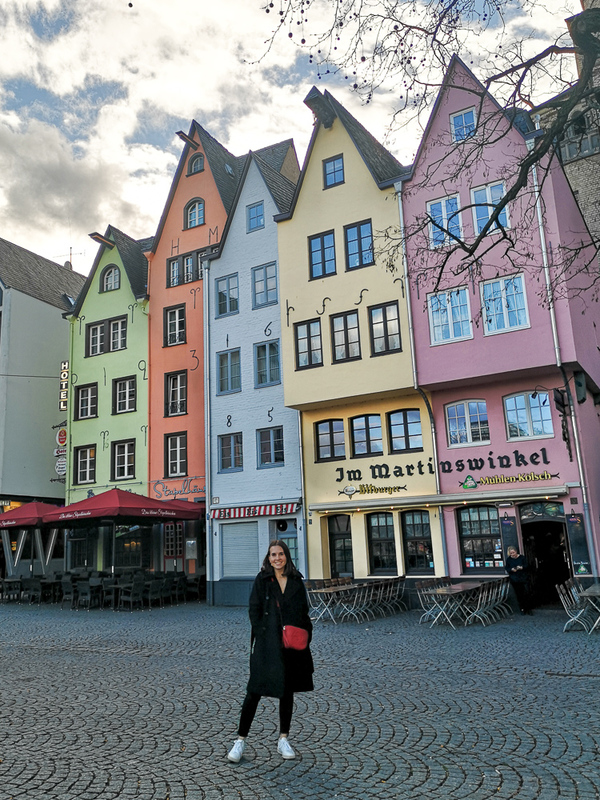 For an iconic photo of the much-instagrammed colourful old houses, head to Fischmarkt by the river. It’s worth wandering around the little streets nearby too. 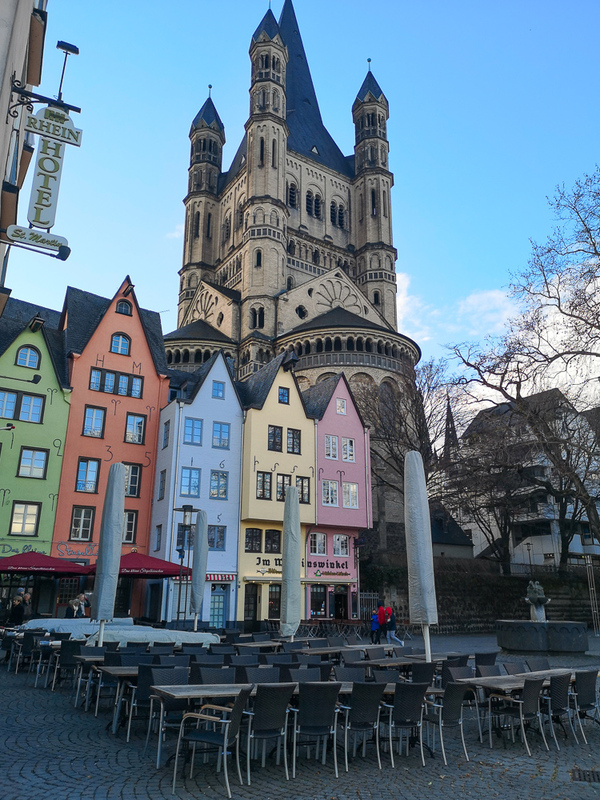 Museums are great, but we couldn’t resist doing a bit of shopping around Cologne. The Belgian quarter is a good place to start, with shops like Boutique Belgique and Simon und Renoldi offering some stylish womenswear. 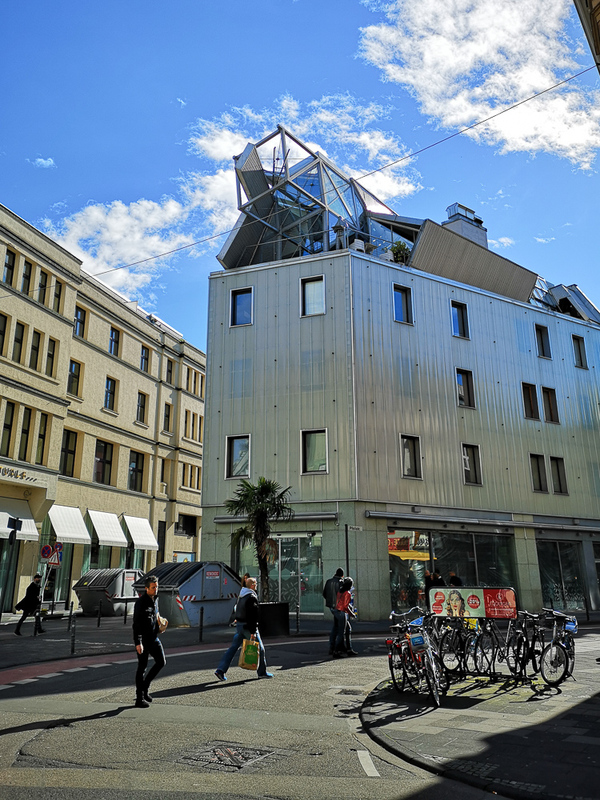 From there, head down Ehrenstraße which is a great shopping street offering everything you could possibly want! 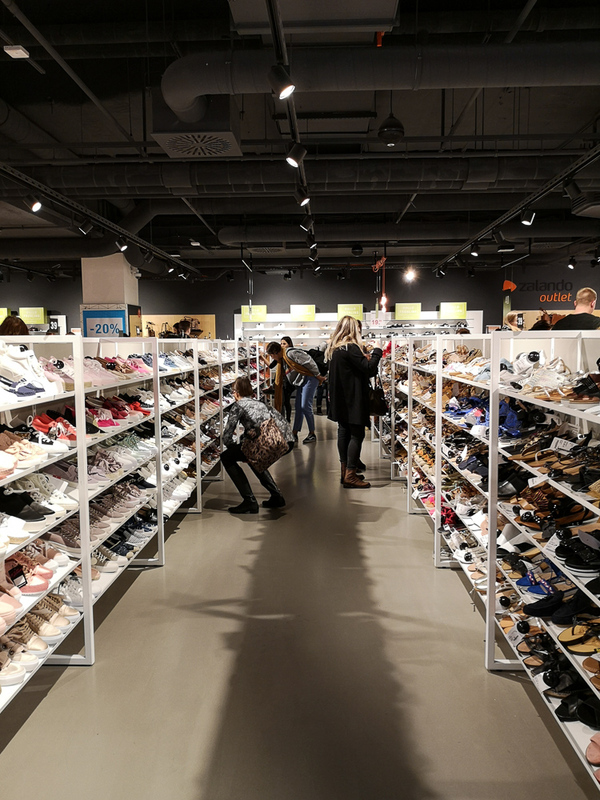 We found some designer bargains at the Zalando outlet – I’d definitely recommend a rummage around there. 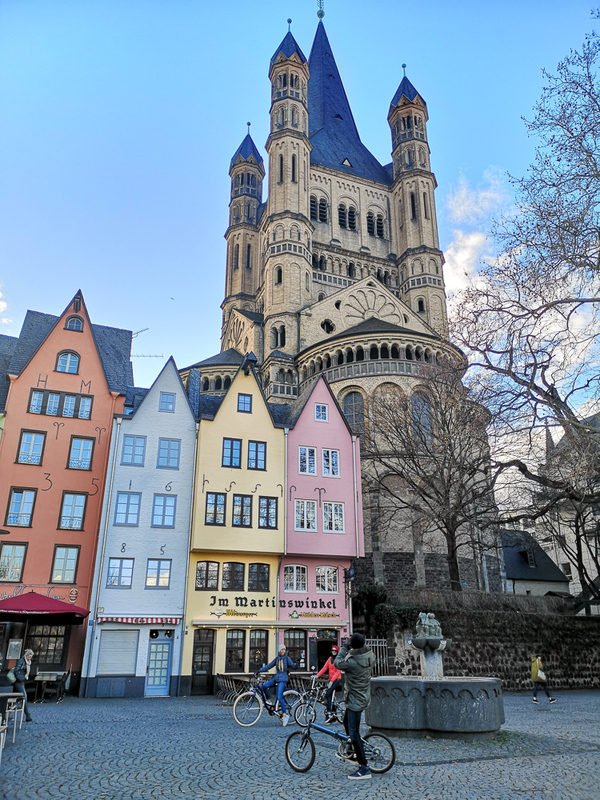 Hopefully this quick guide will help you to make the most of your weekend in lovely Cologne. 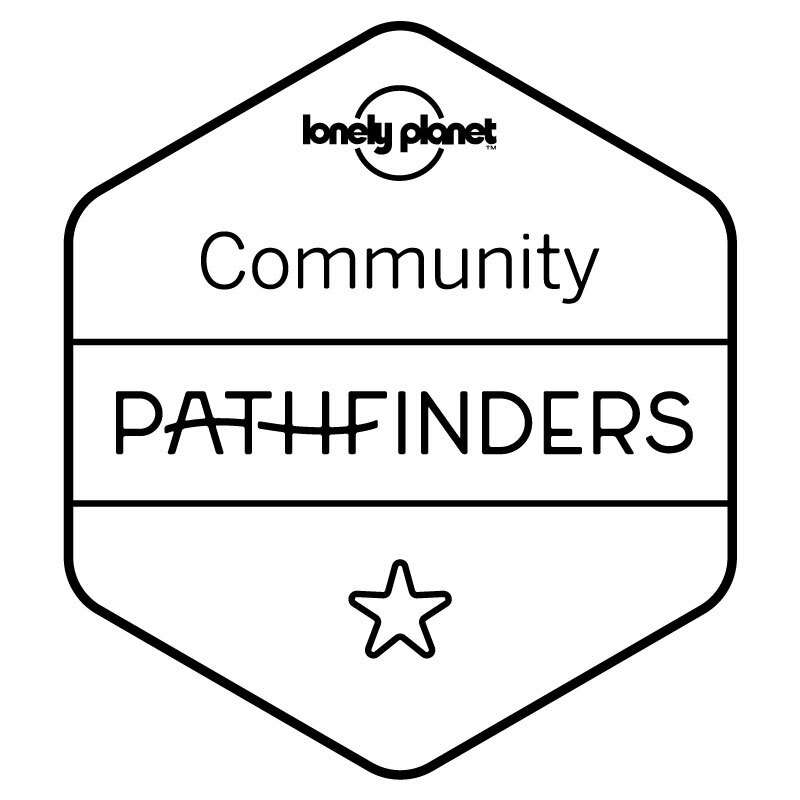 If you do end up using some of these tips, please let me know – I’d love to hear how your trip goes!